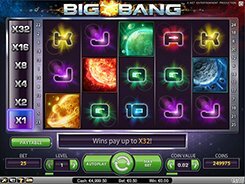 Big Bang is a NetEnt-powered video slot with 5 reels and 25 fixed lines. Centered on a deep space theme, the slot comprises the symbols that relate to planets, stars and the creation of life in the Universe. Before a spin you can adjust a coin value ($0.01–$1) and the number of coins (1 to 5), thus the floor and ceiling stakes are $0.25 and $125 respectively. 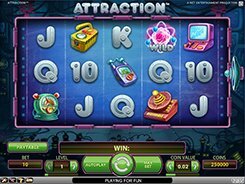 The first, second and third largest awards in the slot are $5000, $3500 and $2500. When playing Big Bang, you can take advantage of a cumulative multiplier that reaches a massive x32 times the usual amount of payline wins. It works very simple. There is a Multiplier Meter to the left of the reels that shows a current multiplier that is normally at x1. The multiplier increases in the geometric progression (x2, x4, x8, x16 and x32) with every consecutive win, and resets to zero when a winning combo is not awarded. 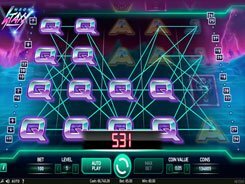 There are no free spins in Big Bang, however a cumulative multiplier used in the slot can potentially lead to truly massive payouts.